Listed below are Boxes on the Moves most Frequently Asked Questions. If there are any questions not listed below, please feel free to call us with any inquiries. (289) 275-3255. Why should I use Boxes on the Move? 1) Free Shipping: Save time, money, and frustration. Free shipping on all orders over $250.00*. 2) Fast Great Service: We are expected to give our highest level of service. We ship most orders on Tuesdays and Thursdays. Same day delivery can be arranged. 3) Privacy: We respect your privacy. We do not give out customer information for any solicitation purposes at all. 4) Responsible and Accessible: Our customer service reps returns all messages and email within 3 business hours. If you have any questions or comments please feel free to call us or submit a service request. 5) Secured payment: We except payment by Visa, Master Card, American Express, Interac and Cash on Delivery. All confidential and secure. What can Boxes on the Move do for me? 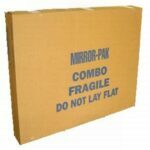 At Boxes on the Move, we provide you with quality moving supplies at a very competitive rate. We save consumers Time, Money and Frustration. Call us today for all your moving, packing, and shipping needs. We also buy back our boxes after your move. Where can I find help to move? Boxes on the Move does not offer a moving service but we have developed alliances with several moving companies. View our affiliates here. 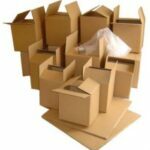 We offer a wide range of quality boxes and moving supplies at discounted prices. 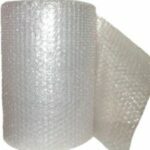 A few of the products we carry are moving boxes, bubble wrap, packing paper and much more. 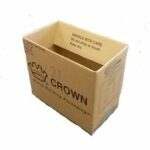 We also carry recycled and reused boxes for even greater savings. Not always in stock. Please view our Price List for our inventory and pricing. What kind of deal can I get? We have several different promotions from month to month and always offer the best price on a regular day basis. Call to find out this months special. Such promotions include box buy back options, free delivery, free upgrades, best price guarantee, etc. 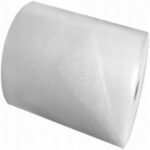 Click here for all of our promotions. Boxes on the Move’s store is located in OSHAWA at 251 Simcoe Street South, Oshawa, ON L1H4H3. (Side Laneway). Free pick up is always available during business hours. No need to call or pre order, just come on in. Click here for Store Hours and location. 1) We save consumers time – We have everything you need for your move and we bring it right to your front door. FAST! 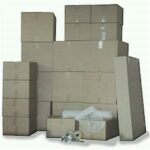 2) We save customers $$$ – We sell boxes and moving supplies for less! Look around. It’s tough to beat our prices. 3) We save customer frustrations – No Boxes? No Problem! Look no further. Don’t waste your time driving around looking for used, dirty, smelly boxes. We have it all in one package. 4) We also buy back our boxes – Take care of them and we will give you 25 cents for each box you return. Any questions? Call us at (289) 275-3255.